Remote network monitoring is also known as RMON. Most of the remote network monitoring systems might cost a business over $2000. Of course, it depends on the company that you purchase the system from, how much you need, and other relative factors. You can purchase many different programs that offer remote network monitoring support. RMON was developed to help network administrators monitor and analyze data that is collected from local area networks. It provides the information that is needed from LANS, T-1/E-1 lines, and even T-2/E3 lines. This information can be used to troubleshoot any upcoming problems. Remote network monitoring is a part of a MIB or management information base. It is an added feature to the SNMP. SNMP stands for Simple Network Management Protocol. This type of system can be supported by nearly any type of hardware monitoring device. In addition, it can be supported through different types of software. A network administrator has the power to find out how much bandwidth is being used by certain users of the network. In addition, the administrator can find out what websites are being visited by the users. Remote network monitoring can allow you to remain at your current workstation while simultaneously performing the necessary troubleshooting requirements. You can collect information from certain LAN sites without having to reach the site, set up your equipment, and get your information. This can save you a lot of time and money. You can manage your network easily and efficiently. This is mainly because you get all of the information that you need before the problem actually takes place. Since you are constantly receiving information, you can become notified in time to fix things before it gets out of hand. Remote network monitoring reduces the workload of your network management systems. Consequently, your productivity will significantly increase. You no longer have to spend hours poring over information. This program allows you to diagnose problems faster than ever before. In addition, the continuous monitoring gives you time to work on other problems and still maintain your coverage. The amount of information given to you will not be enough for you to fix every problem. The system that you use to retrieve the data may be extremely slow. This means that the system will not be kind to your allotted bandwidth. The remote network monitoring system registers may be stored in 32-bit registers. This may not be enough for you. Complete remote network monitoring support in your hardware is only available for dedicated RISC processors. Offline operation means that remote network monitoring can be designed to collect information constantly. This means that even if your communication with the RMON network is offline, the system will not stop monitoring your network for you. It does not matter if communication is currently impossible. Proactive monitoring means that monitoring will always be available for you. It will even be available when there are currently failures in communications. Once you are back online you can play back all of the information that has been collected. Problem detection and reporting means that remote network monitoring programs have the ability to recognize certain problems and constantly check for them. You can define these programs. In addition, when these problems are found, you will be alerted. Value added data means that remote network monitoring programs will always add value to the data that has previously been collected. If you have different functions, you can have multiple managers for different organizations. This allows you to cover more area. 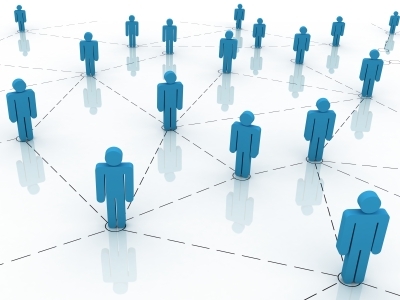 The other benefits of network management include use of LAN that further assists in sharing of critical information and valuable resources among the employees working at the same place and using different computer systems. Since these services have to be performed in the most precise manner and involve considerable amount of time and money, thus, most of the business organizations prefer outsourcing remote network management services rather than doing it in-house.